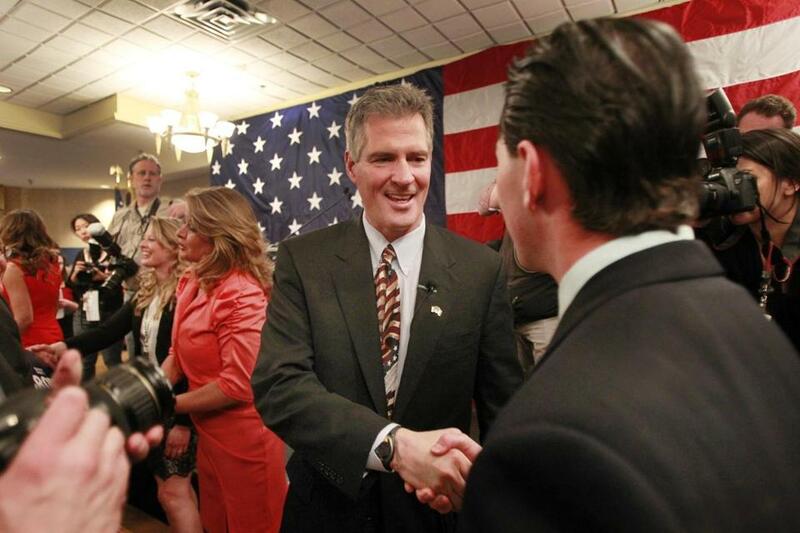 US Senate candidate Scott Brown. Scott Brown is set to discuss money, power and politics at a major conference in Las Vegas next month organized by an investment firm that specializes in hedge funds. Brown’s campaign confirmed he plans to attend the SkyBridge Alternatives (SALT) Conference, where he is scheduled to join a panel with Karl Rove, who was a top adviser to President George W. Bush; David Plouffe, who ran President Obama’s 2008 campaign; and James Carville, a Democratic political commentator. The conference, which the Republican candidate attended in 2013, is organized by SkyBridge Capital, an investment firm that focuses on hedge funds. Along with boldfaced names from the financial sector, other politicos such as Valerie Jarrett, a top adviser to President Obama, and US Representative Paul Ryan, Republican of Wisconsin, are set to participate, according to the preliminary conference schedule. The conference will be held at the Bellagio, a luxury hotel and casino. Anthony Scaramucci, managing partner and founder of SkyBridge Capital, has donated thousands of dollars to political committees affiliated with Brown, including a $5,000 donation to Brown’s Fiscal Responsibility Political Action Committee this year, according to Federal Election Commission filings. Scaramucci was not available to comment Wednesday, a spokeswoman said. Brown, who made his bid for US Senate in New Hampshire official earlier this month, is aiming to unseat Democrat Jeanne Shaheen. Brown’s communications director and campaign manager did not initially respond to requests for comment on Wednesday. Reached later on his cell phone, Brown referred questions to his campaign manager. Asked whether he would be attending the SALT conference in Las Vegas next month, he said he had to get off the telephone. “I’m right in the middle of an event,” Brown said. Subsequently, Brown spokeswoman Lizzy Guyton e-mailed a statement. “Scott will be attending the well-respected bipartisan conference to discuss the dysfunction in Washington and his ideas to break the gridlock and start moving our country in the right direction to create more jobs and get people back to work,” she said. Brown, who has crafted an everyman image since his upset 2010 Massachusetts US Senate special election victory over Martha Coakley, faces a Granite State GOP primary. If he wins his party’s nomination, as New Hampshire Republican operatives expect, he is set to face Shaheen in November.